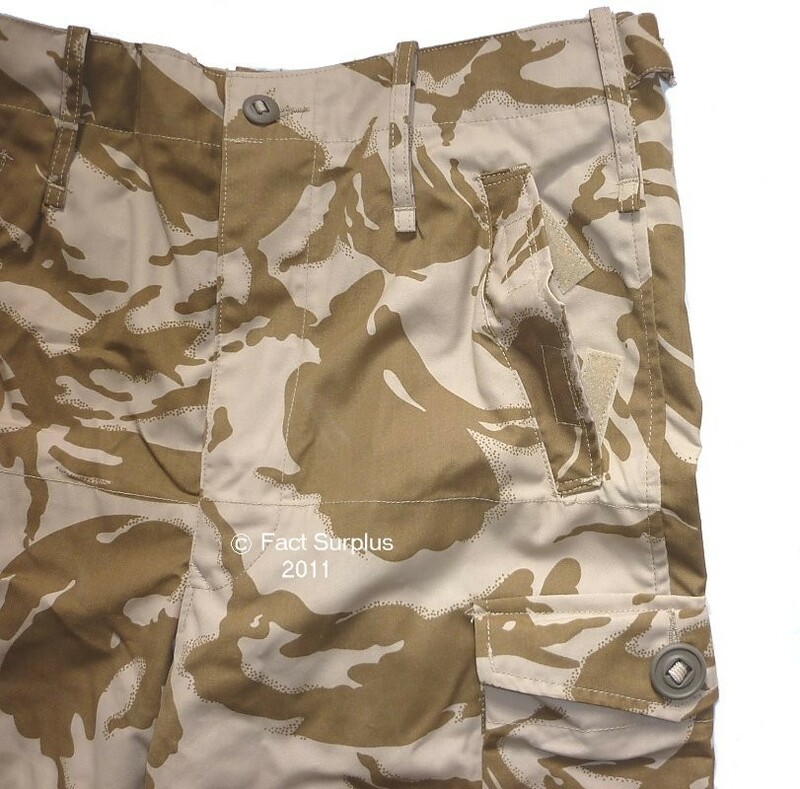 Genuine British Army Windproof Trousers in Desert DPM camo. To complement the Special Forces Windproof Jackets. 2 big cargo pockets. Velcro close waist pockets, button close hip pocket to rear. Button waist and zip fly. Velcro leg bottoms to help get them over your boots. Leg ties, 3 inch belt loops. Double thickness of material on backside and on leg fronts. 30. 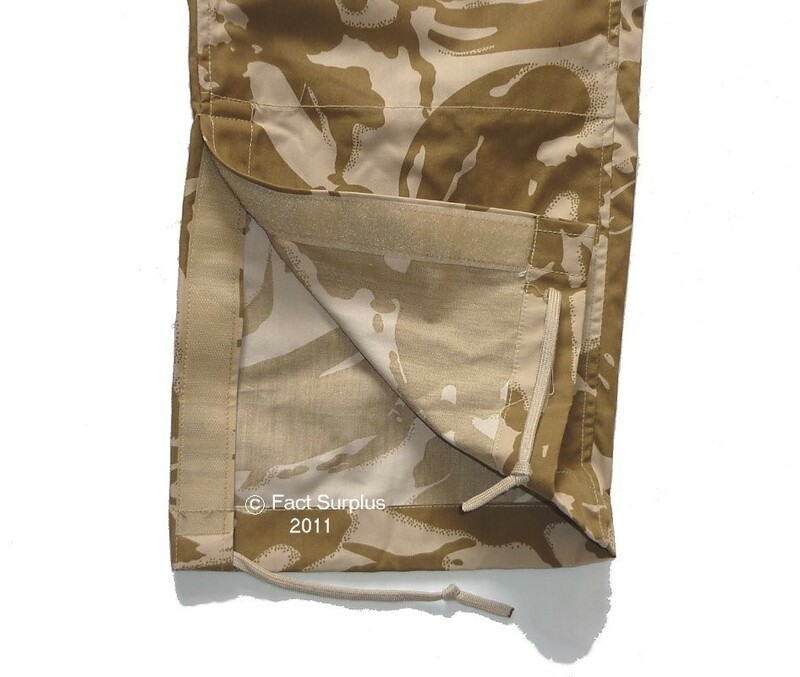 British Windproof Desert Trousers - 30" waist. 30" leg. NATO 8085/7075. Br.82/80/96. 34. 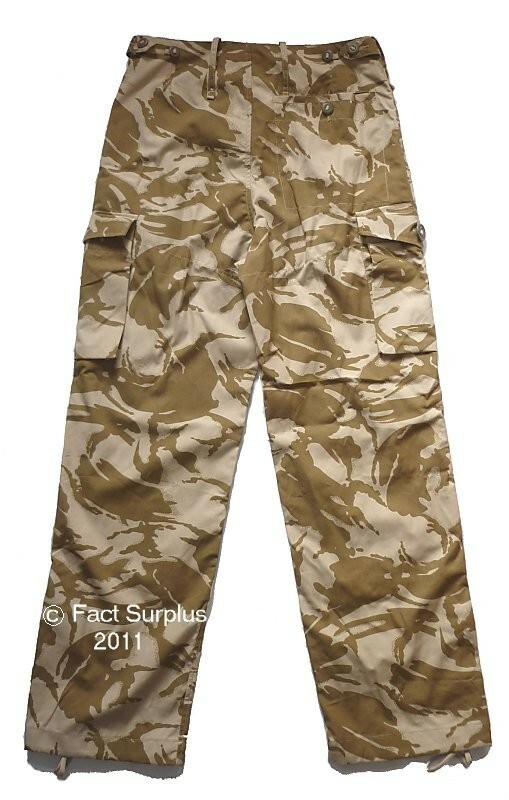 British Windproof Desert Trousers - 34" waist. 30" leg. NATO 8085/7585. Br.82/88/104. 34. British Windproof Desert Trousers - 34" waist. 34" leg. NATO 8595/7585. Br.90/88/104. 38. British Windproof Desert Trousers - 38" waist. 28" leg. NATO 7080/8595. Br.76/96/112. 38. 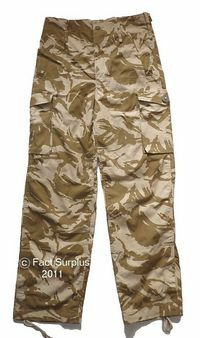 British Windproof Desert Trousers - 38" waist. 34" leg. NATO 8590/8595. Br.90/96/112.